One of the “world’s leading ensembles of piano, violin and cello” – in the words of the Washington Post – The Vienna Piano Trio will be featured at the third Chamber Music Yellow Springs concert on Sunday, February 24 at 7:30 p.m. at the First Presbyterian Church (314 Xenia Avenue). This will mark a return for the trio, who came to Yellow Springs in 1992, when they were just getting started. At the time, pianist Stefan Mendl confided that he was at first alarmed that the audience was so quiet and attentive. Was something wrong? No, the audience was simply enthralled with the music. Over the years, the trio has risen to the top of the profession and is widely considered the most authoritative interpreter of Viennese music (naturally). Their violinist, Wolfgang Redik, left this year to head the chamber music institute at the Vienna Mozartium. In September of 2012, the Serbian virtuoso Bogan Bozovic joined cellist Matthias Gredler and Mendl as the ensemble's new violinist. The reviews of the trio from Europe have been ecstatic – Bozovic is a rare talent. Their CMYS program opens with the Haydn Trio in C, XV.27 and the ever-popular Beethoven "Ghost" trio Op.72. After intermission, they will depart from the Viennese repertoire to play an exceedingly ambitious work, the rarely-heard Saint-Saens Trio in E, Op.92. Though raised on German music, Saint-Saens set out after the disastrous Franco-Prussian War to develop a distinctively French school of composition, and this trio combines the best of both. The ensemble has recently released a new recording of the Saint-Saens – with the new violinist – and it is receiving rave reviews. 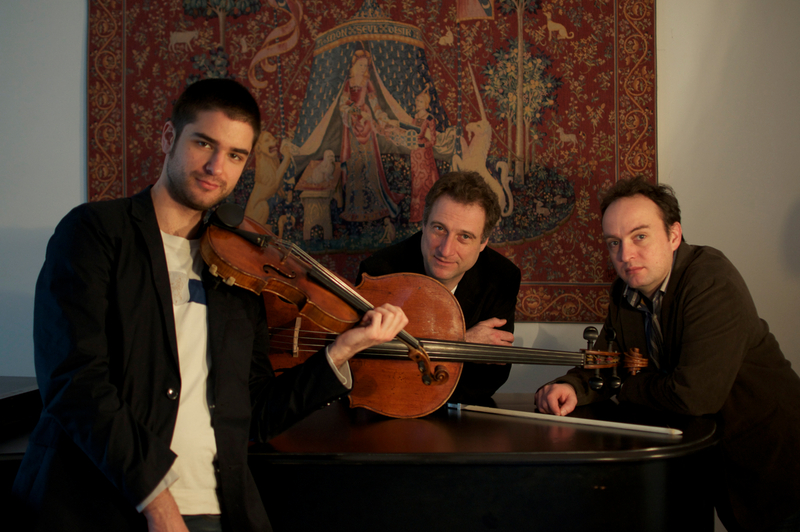 Further information about the group is available at their website: http://www.viennapianotrio.com/. Concert tickets can be purchased in advance at www.cmys.org or by mail; reservations at 937-374-8800. Individual tickets cost $20 per adult, $7 for students. Those wishing to attend a post-concert dinner with the artists should contact CMYS.